Are sports stars' charities built on shaky foundations? The greatest sporting stars attract adulation the world over for their achievements on the pitch, but few are feted for their charitable work. Many, such as David Beckham, attempt to add to their sporting legacies by doing work with recognised charities - the former footballer has been an official ambassador for Unicef since 2005. Others, however, choose to channel this energy into setting up their own foundations. But it's an exercise that can be fraught with difficulty, as some have discovered when their charities attract the attentions of the national media for the wrong reasons. The former Chelsea footballer Didier Drogba became the latest sporting celebrity to attract negative publicity when the Daily Mail ran prominent articles on the foundation that bears his name, spread over two days in April. The paper accused the charity of giving to good causes less than 1 per cent of the £1.7m it had raised. The Charity Commission said it would look into concerns about the management and administration of the foundation, and allegations that donors and the public might have been misled by the charity. Drogba strongly contests the claims, and says he plans to take legal action against the Daily Mail for defamation. Another example is the Bradley Wiggins Foundation, set up by the highly decorated cyclist in 2012, the year in which he won the Tour de France. In August 2014, the magazine Cycling Weekly published a report saying that supporters who gave thousands of pounds to the foundation had been "left in the dark" about how the money had been spent. The Charity Commission contacted the charity's trustees to seek clarification about how the money had been used, but ultimately concluded that the concerns raised did not amount to much. A commission spokesman says it provided advice on transparency and accountability and on how the foundation could further its charitable purposes, and says the regulator was satisfied that the trustees were taking steps to alleviate its concerns. Third Sector's analysis of selected foundations bearing the names of sports stars shows a wide range of income and expenditure levels (see table above). 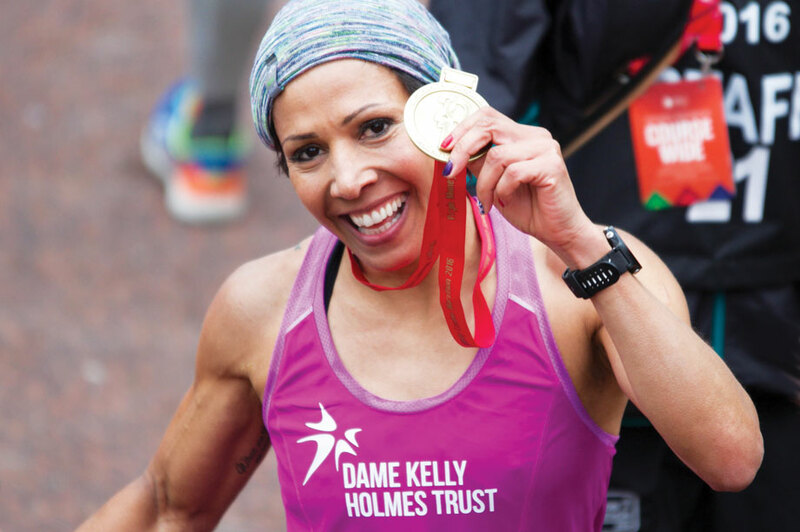 Some, such as the Dame Kelly Holmes Trust, have grown to become large, but others have remained much smaller endeavours. The figures, which are compiled using the three most recent publicly available accounts on the Charity Commission's website, show that in many cases the charities have uneven levels of income and expenditure. Spikes in income can usually be explained by large fundraising events or one-off activities. For example, the Mo Farah Foundation had an income of more than £900,000 three years ago, which included a fundraising ball after his double gold medal-winning performance at the 2012 London Olympics. The ball made more than £200,000 for the charity. Farah won a further £250,000 in 2012 for the foundation through an appearance on a television game show. The charity filed its first set of accounts in February 2015, which showed it had experienced mixed success with fundraising events. The accounts, covering the 18 months to April 2014, showed that a ball made a profit of almost £66,000 whereas the cycling event Ride with Brad made a loss of almost £29,000, which Wiggins covered by means of a personal donation. Shortly after the accounts were filed, Wiggins announced that he was winding down the foundation so he could focus on preparing for this year's Olympics. "I'm a racer, not a fundraiser," he said at the time. Foundations set up by sporting stars in the UK are not alone in experiencing negative publicity. In Australia, the former cricketer Shane Warne has announced he will close his foundation amid claims - denied by Warne - of mismanagement and low levels of charitable expenditure. In all cases, the sporting star's reputation appears to have been tarnished by the negative coverage. So why do they do it? Sean Kelly, chief executive of the charity Action for A-T, which funds research into the neurological condition ataxia telangiectasia, completed a research project on celebrity support for charities as part of his master's degree in charity resource management in 2013. He says some sporting stars can end up starting their own charitable foundations because they are badly advised. "I see a lot of foundations come off the back of a player's benefit year and, to make things easy - or so they think - they start up a foundation," he says. "Many do not appreciate how much work is required and how much administrative effort comes with having your own charity." He says others start foundations as a way of staving off the many demands they can receive to support other charities, particularly given that some find it difficult to say no to charities. "Celebrities get inundated with requests and for some the stock answer will be that they do everything through their own foundation," says Kelly. David Stead, director of philanthropy at the Charities Aid Foundation, says setting up a stand-alone charity offers the opportunity for some sports stars to "take a hands-on approach to tackling some of the world's biggest challenges while building a lasting charitable legacy". But building a lasting legacy appears to be a problem for many foundations that bear their star's name. 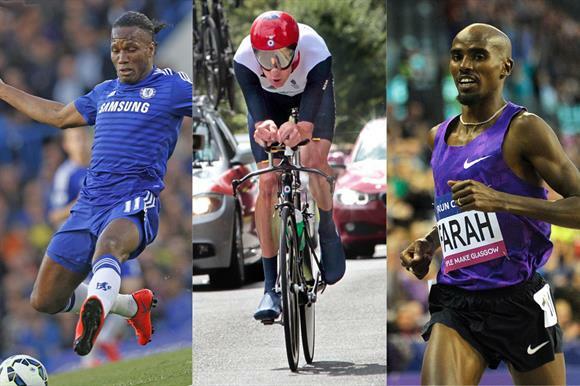 Third Sector looked at the accounts or details of 20 sporting stars' foundations and found that their lifespans are typically short, possibly reflecting the often relatively brief careers a sportsperson usually has. Examples include the David James Foundation, set up by the former England goalkeeper in 2008 to support farmers in Malawi. It was removed from the register after it was wound up in August last year. James himself had been declared bankrupt in 2014. The Andrew Flintoff Foundation was registered by the former England cricketer in August 2007 but removed from the register less than eight years later. Lawrence Dallaglio, the former England rugby union captain, set up the foundation bearing his name in 2009 after his mother died of cancer. He says he did a lot of work with charities during his playing career and it was after his 2003/04 testimonial season, which raised funds for several charities, that he started to think about setting up his own foundation. He says the organisation initially raised funds to pass on to established charities including Cancer Research UK and the Teenage Cancer Trust. "I partnered with CRUK because you are not going to make many mistakes when you are working with them," he says. But he came to the conclusion that he wanted more of a say over where the money the foundation raised was going. "Not to be crude about it," he says, "but I felt I was filling other people's pots and not necessarily having direct control over where the money was being spent." He says the work the foundation did with the Teenage Cancer Trust prompted him to think more about working with young people, so the charity began focusing on its Rugbyworks scheme, which uses rugby as part of a programme that offers support and training to marginalised young people with the aim of helping them back into mainstream education or employment. Dallaglio spends about one day a week working for the foundation and says he is well aware of the reputational damage that could be caused should his charity attract negative coverage. "There is a lot of responsibility when your name is above the door," he says. "You need to understand first of all what you are getting involved in, and you have to put together a good team." He says transparency and accountability are key parts of this, along with ensuring the charity files its documents on time and is able to account for all of its spending. Dallaglio's foundation has grown steadily and had an income of at least £1m in each of the most recent four years for which it has filed accounts. He hopes to push on to extend the reach of the programme across the UK. "There's a huge amount of demand for the programme," says Dallaglio. "The challenge is to deliver it so it becomes a fully nationwide scheme." Others have even shorter lifespans, including the foundation started by the footballer Glen Johnson, which was registered in October 2010 only to be removed less than two years later. There are those that flourish over the long term. Notable examples include the Dame Kelly Holmes Trust, bearing the name of the Olympic gold-medallist, which was registered with the commission in 2009 to provide opportunities for young people and has grown to record an income of £3.1m in 2014/15. The Dallaglio Foundation, set up by the former England rugby captain Lawrence Dallaglio, has also grown to be a substantial organisation in its own right. Others, such as the Tim Henman Foundation, set up by the former tennis player, continue to operate but are adapting their approach. Richard Garrett, chief executive of the foundation, taught Henman at Reed's School in Surrey before moving into fundraising for the school and then taking up the role of leading the foundation on a part-time basis. The foundation was registered with the commission in 2000 as the Tim Henman Charitable Foundation with the objects of improving the education, health and welfare of disadvantaged young people. But it has since been deregistered and restarted as a charitable incorporated organisation, the relatively new legal form for charities that offers the advantages of incorporation, including limited liability for trustees and members and the ability for the organisation to hold assets, but without having to register with Companies House as well as the Charity Commission. "My view is that I want to build something unique in the way that we do things," says Garrett. "If you don't go down a different path, the danger is that it is not sustainable." Some of these foundations, like many other charities, have struggled to keep up with the administrative demands. The Mo Farah Foundation, founded by the runner and registered with the commission in September 2011 with the aim of providing aid to people in east Africa, filed its latest set of accounts more than six weeks late and its annual return more than 12 weeks past the deadline. Foundations set up by the former footballers Jason Roberts and Craig Bellamy have also encountered the same problem: Roberts' foundation has filed its accounts late in three of the past five years, with the most recent, for 2014, being supplied more than four months past the deadline. The accounts for Bellamy's foundation for the year to the end of March 2015 are more than five weeks late. Third Sector asked the foundations set up by Farah, Roberts and Bellamy for comment, but received no replies. UK Community Foundations, which promotes local philanthropy, has been working with the Professional Footballers' Association to help promote charitable giving by footballers, but without the need to set up their own foundations. "We observed that a huge amount of money was being made in the football sector but surprisingly little was ending up in the voluntary sector," says Fabian French, chief executive of UKCF. "We decided to create a dialogue with the PFA, which seemed to agree with our general hunch that professional footballers could be doing more." French says the model devised by UKCF with the PFA involves a fund being established under the umbrella of an existing community foundation. This offers the dual benefits that the footballers can exercise control over where their money is spent without having the administrative burden that comes with running a stand-alone charity, according to French. The fund does not need to file annual accounts or returns with the Charity Commission, for example. The former England and Liverpool player Jamie Carragher is the first and so far only player to have taken up the offer, although French says a small number of other footballers are in negotiations to follow suit. But he says the scheme has been well received even if initial take-up has been slow, and UKCF is talking to the relevant representatives about extending the scheme to other sports. He says that becoming involved in charitable activity can be a good way for footballers improving their image, which can be lacking. "A lot of Premier League footballers are seen as spoilt brats, and this is a great way of countering that," says French. "They can show that it's not all about Ferraris and so on - there is good stuff they can do." Carragher's 23 Foundation is not the only example of one working under the auspices of another charity. CAF offers a similar scheme that has been taken up by several sporting stars. The Sir Bobby Robson Foundation, which was launched by the former England football manager before his death in 2009 and pays for new ways of detecting and treating cancer, operates under the Newcastle Upon Tyne Hospitals NHS Charity. French approves of this approach and cautions against sports stars ploughing large sums into their own foundations. "There's nothing worse than putting a lot of money in at year one, but things going dry after that," he says. "You are creating a huge problem for it in the future such as increased overheads and high expectations from beneficiaries."